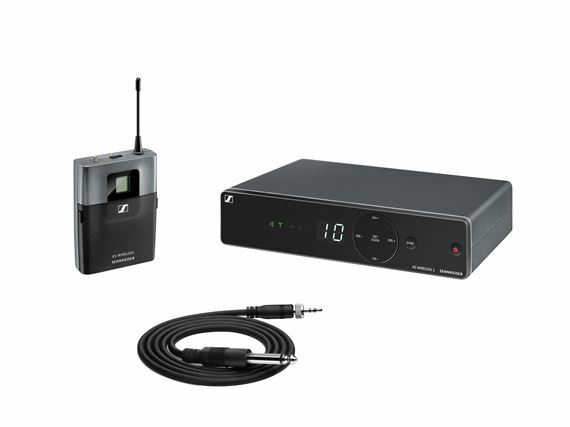 Shop Sennheiser XSW 1-CI1 Bodypack Wireless Instrument Set With Cable from AMS with 0% Interest Payment Plans and Free Shipping. XS Wireless 1 extends the reach of Sennheiser's wireless portfolio to first-time and budget-constrained users who appreciate simplicity and ease of use without complications. With a modern look, great sound and ability to operate up to 10 channels simultaneously, XS Wireless 1 will help introduce Sennheiser to singers, presenters and instrumentalists earlier in their journeys.